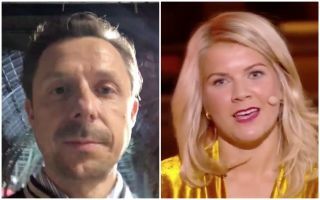 French DJ Martin Solveig sparked real controversy on Monday night for his comment to Women’s Ballon d’Or winner Ada Hegerberg. The 23-year-old was crowned the winner of the inaugural award in Paris, but her moment was unfortunately overshadowed by Solveig’s question during her acceptance speech. As seen in the video below, the presenter went on to ask her if she knew “how to twerk?”, to which she simply responded: “No”, as she was visibly annoyed. That sparked outrage on social media as he was slammed for asking such an inappropriate question, while simultaneously ruining the moment for the Norwegian ace as she now has to deal with the fallout of his comment. Solveig soon released an apology video on his official Twitter account, as seen below, but ultimately he was bombarded with more negative comments as he endured a nightmare evening in more ways than one.